No one really knows the exact origin of the coconut palm, but coconuts almost certainly seeded themselves all over the world when they fell into the ocean. 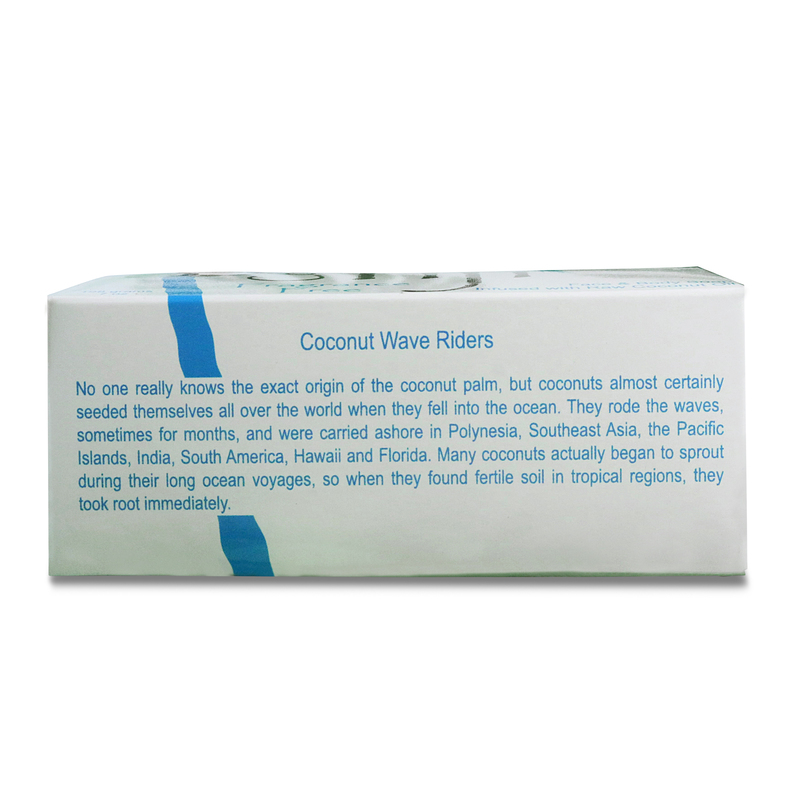 They rode the waves, sometimes for months, and were carried ashore in Polynesia, Southeast Asia, the Pacific Islands, India, South America, Hawaii and Florida. Many coconuts actually began to sprout during their long ocean voyages, so when they found fertile soil in tropical regions, they took root immediately. The Fiji Islands, touched by a perfect balance of sunshine, rain and tropical breezes allow for the richest coconuts on the planet to grow as nature intended. 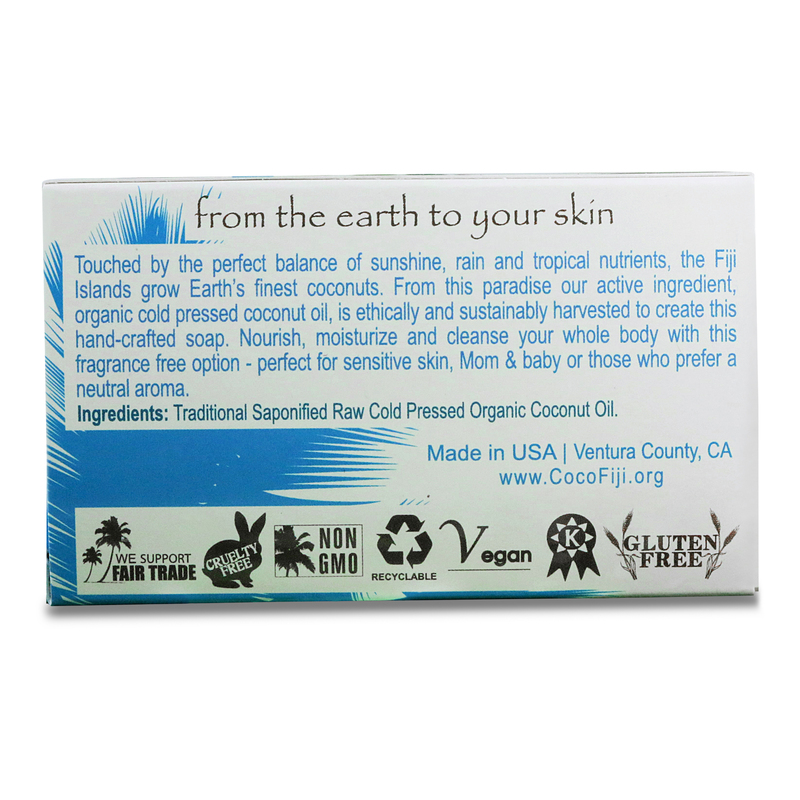 This hand crafted soap is made with essentially pure ingredients to nourish, moisturize and cleanse your skin. 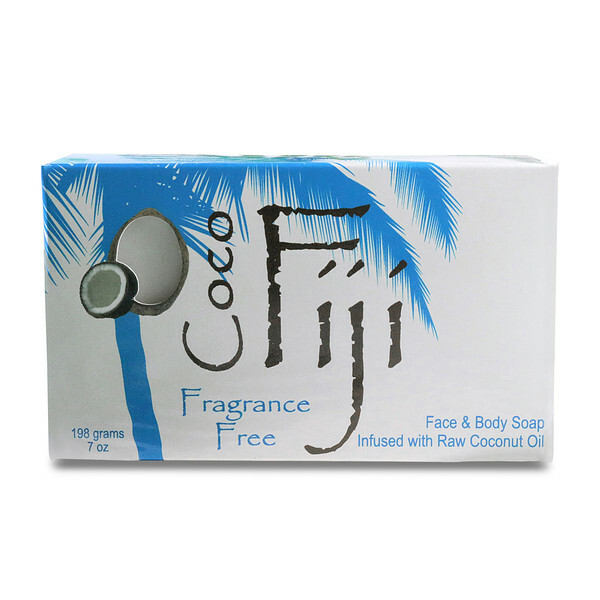 Fragrance Free is for sensitive skin and for those who wish to enjoy the natural purity of coconut oil.